Home / Drugs & Supplements / What is the best Celebrex alternative? 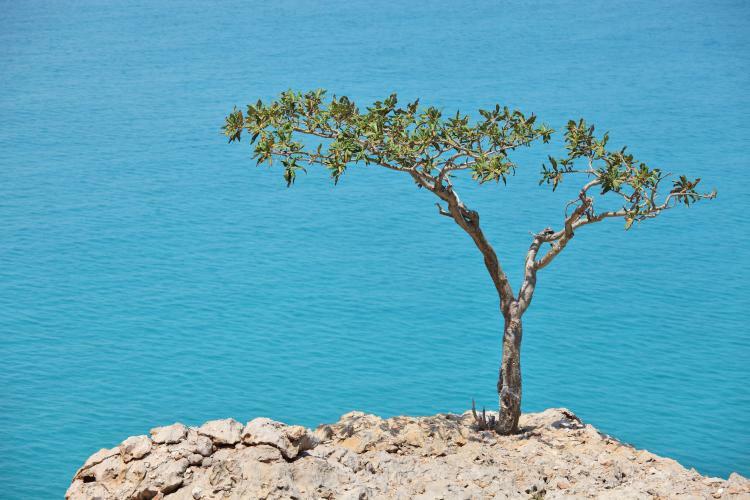 How does Boswellia kill the pain? Celebrex (Celecoxib) belongs to the class of nonsteroidal anti-inflammatory drugs (NSAID) and it is used for the treatment of arthritis, dysmenhorea and colonic polyps besides being a popular analgesic (1, 2, 3). Analgesics is a medical name for pain killing drugs. Prostaglandins play an important role in the development of inflammation of arthritis that causes pain, tenderness, fever and swelling. Celebrex blocks the action of enzyme cyclooxygenase 2 that makes prostaglandins, resulting in decreased release of prostaglandins. As a result, inflammation and pain, fever and swelling that accompany it decrease. Celebrex is different from other NSAIDs in the aspect that it does not cause much inflammation and harm to stomach and intestine (at least with short-term use); neither does it interfere with the clotting of blood (4, 5). Therefore, its use was at first intended to alleviate pain while reducing the gastrointestinal side effects observed with use of regular NSAIDs (6, 6a). Generally, its chief use is in patients who require long term pain management; probably, no advantage exists of using celebrex for acute or short term pain relief over traditional NSAIDs, except in the cases where nonselective NSAIDs trigger skin reactions (urticaria or "hives"). NSAIDs have been known to prevent the development and decrease the size of polyps in people with the genetic condition, familial adenomatous polyposis (FAP). In this disease, patients develop several polyps in their colon and the polyps always become cancerous. The only treatment option for FAP is the removal of the entire colon. Celebrex is approved as an adjunctive treatment course among patients with FAP (7, 8, 9). Pain and menstrual cramps in females are due to release of prostaglandins and by blocking these prostaglandins, celebrex relieves menstrual pain (10, 11). Celebrex dose is determined according to your age and the condition you’re treating. You should use the minimum effective dose for the shortest time possible. Celebrex is a prescription drug. Doctors prescribe this medication when they are sure that its potential benefits outweigh the risks of adverse effects. Here is the list of side effects you may experience with the use of this drug (12). Gastrointestinal distress or gas may occur. If either of these side effects worsens, inform your doctor. This medicine may cause hypertension or high blood pressure. Check your blood pressure on a regular basis if you’re using this drug and inform your doctor if it remains high. Swelling in groin, calf, hands, feet, etc. Swelling and itching particularly of hands, feet. Even though celebrex is effective in treating many conditions, this drug elevates the risk of life-threatening cardiac or vascular problems (14). You should opt for alternatives of celebrex if you have a history of heart disease or cardiac problems. Tylenol (Acetaminophen, other brand names inlcude Panadol, T-Panol, etc.) is an analgesic that is used to treat many of the same conditions that Celebrex treats. Tylenol blocks the action of hormones in brain that trigger pain and fever. Tylenol or acetaminophen is the most widely used over-the-counter (OTC) analgesic used in America and around the globe. This medication was first distributed in 1955 as Tylenol Elixer for children, and today millions of adults and children use Tylenol for common ailments such as pyrexia, head and body ache and inflammation. Manufactured by Johnson & Johnson subsidiary McNeil Laboratories, Tylenol is also available in generic form and is therefore cheaper than celebrex. It is marketed as an efficient analgesic that is safer than non-steroidal anti-inflammatory drugs (NSAIDs) such as celebrex or ibuprofen, which are known to cause stomach discomfort or bleeding stomach discomfort or bleeding (15, 16, 17). Tylenol does not increase the risk of cardiac problems or heart disease and is thus a safer alternative to celebrex for cardiac patients. But on the down side, its anti inflammatory effects are not as potent as those of Celebrex. Therefore, conditions that are primarily inflammatory in nature, such as arthritis, may not respond well to Tylenol therapy. The maximum daily dosage Tylenol that can be safely taken is 4g. Taking doses over 4g may cause serious damage to your liver (18). Tylenol can be used in all stages of pregnancy and is the medication of choice for short-term treatment of fever and pain during pregnancy (19). However FDA recently warned, that even use of "safe" pain killers in pregnancy, like Tylenol, should be consulted with the doctor (20). On the other hand, celebrex is known to be harmful to unborn babies (21). Tylenol is excreted in breast milk in small quantities but still it is considered safe to be used by nursing mothers while celebrex is not (22). It may interact with acetaminophen or other over the counter pain killers. Therefore, avoid the use of multiple pain killers at one time. It may also interact with multi-vitamins and steroids (24). General dosing is 325 mg to 650 mg. You should take it every 4 to 6 hours (25). Aspirin and celebrex are both used for the treatment of inflammatory conditions such as arthritis. Aspirin is an over-the-counter non-steroidal anti-inflammatory drug (NSAID) that is a popular choice for the treatment of fever, pain and inflammation (26). Celebrex is a relatively new prescription non-steroidal anti-inflammatory drug or NSAID that may have lesser adverse affects than aspirin but it can cause serious liver damage (27). Celebrex carries side effects including gastrointestinal distress and headache along with more strict warnings about cardiac damage and stomach ulcers (28). It may also cause serious allergic reactions in some patients (29). It should be used with caution in those with history of liver or renal disease or asthma (30, 31). It should also not be used after the second trimester of pregnancy and by patients suffering from anemia. It interacts with several other drugs including blood pressure medicines, diuretics and the antifungal drug fluconazole. 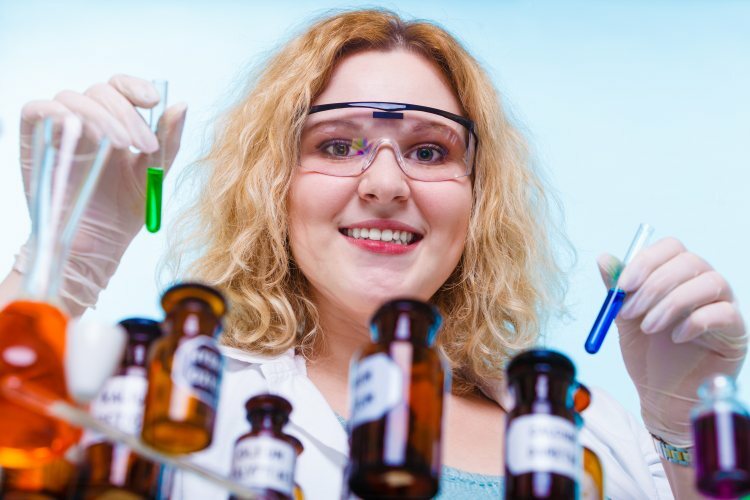 Celebrex is metabolized in liver which is responsible for many of its drug interactions. On the other hand, Aspirin is used for the treatment of pain and inflammation and has several other uses such as providing relief from fever and prevention of blood clot formation in patients with heart valve disorders, deep vein thrombosis and for prevention of cardiac arrest or stroke (32). 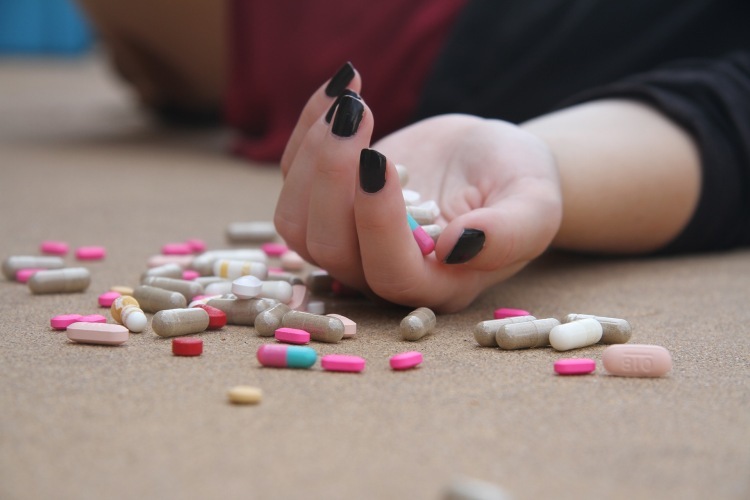 A 2010 research published by Yale University in "The Journal of Clinical Investigation" found that besides potential cardiac protective factors of aspirin, it may also aid in preventing liver damage from the overdoses of acetaminophen. The researchers stated that aspirin may also help prevent or relieve liver damage caused by other substances such as alcohol toxicity or by other liver-damaging drugs, though this has yet to be proven (33, 34). Aspirin has some interesting advantages. Not only does is it known to decrease the likelihood of blood clots that can cause heart episodes and strokes, it also seems to have anti-cancer uses (35). NSAIDs such as celebrex, on the other hand, have some severe cardiovascular complications. A study published in The Lancet (May 30, 2013) reveals that NSAIDs such as celebrex, Ibuprofen or diclofenac enhance the risk of heart attacks (36). One final interesting fact to be cautious about is that incidence of gastrointestinal side effects of Celebrex is significantly greater in patients, who are on a low-dosage aspirin treatment (37). Aspirin shows major drug interactions with other pain killers, especially NSAIDs. Therefore, avoid the concomitant use of these drugs (39). Also never give aspirin to kids under 18. There is a small risk of a serious condition caused Reye's (Ryes) syndrome (40). The general dose is 325 mg to 650 mg, given at an interval of 4-6 hours (41). Celebrex (generic name celecoxib) and tramadol (brand name Ultram) are drugs that are prescribed for pain. Celebrex is grouped among the NSAIDs, or nonsteroidal anti-inflammatory drugs. This kind of pain killer blocks the body's release and production of prostaglandins (hormone-like substances in the body that are the cause of pain and inflammation.) Tramadol belongs to opioid or narcotic-like class of drugs (42). Both medicines help relieve pain but they work very differently. Tramadol is a prescription drug used to treat pain. This medication is a narcotic-like pain reliever that may be used to treat moderate to severe chronic pain. It does not elevate the risk of possibly fatal heart or vascular problems, but there is an enhanced risk of seizures, especially if a patient has a history of seizures (42). Side effects of Tramadol include hallucinations, agitation, skin rash, labored breathing or a weak pulse. Celebrex is prescribed for pain management of osteoarthritis and rheumatoid arthritis, and its side effects include stomach ache and liver damage. This drug can cause some major problems in patients with cardiac conditions. In 2006, the FDA determined that people taking Celebrex were exposed to increased possibility of serious cardiovascular problems and that patients with history of heart disease should opt for other drugs (43). Tramadol is usually used to treat moderate to severe pain. This drug may cause stomach upset, but it does not cause liver damage or cardiac problems like celebrex does. Patients using tramadol may also experience drowsiness. In a 2008, Pfizer conducted a clinical trial comparison of celebrex and tramadol. The study concluded that Celebrex was more effective than tramadol and better tolerated but had serious side effects for patients with hepatic disease and cardiovascular problems (44). Both tramadol and celebrex are prescription drugs and have possible drug interaction and serious adverse effects. Patients who are allergic to sulfa or are aspirin sensitive should not use celebrex. Tramadol cannot be used simultaneously with some types of other drugs, such as some antidepressants. Neither celebrex nor tramadol has been proven safe to take during pregnancy. Like the other drugs mentioned so far, Tramadol interacts with other pain killers and should not be used simultaneously with them (46). The general prescribed dosage for pain is 50 mg to 100 mg given every 4 to 6 hours (47). Ibuprofen (brand names: Advil, Nurofen, Motrin, etc.) belongs to non steroidal anti inflammatory NSAID group of drugs. It exerts its analgesic effect by reducing the production of hormones that cause pain and inflammation in the body. Ibuprofen is used to treat fever and relieve pain or inflammation caused by many conditions such as toothache, headache, back ache, osteoarthritis, menstrual cramps, or minor injury (48). Ibuprofen is given to adults and children who are at least 6 months old. Ibuprofen can elevate the risk of life threatening heart attack or stroke, particularly if it is used long term or taken in high doses, or if you have history of heart disease. Do not take this medicine immediately after heart bypass surgery (50). Ibuprofen may also cause bleeding from stomach or intestines, which may prove fatal. This bleeding can occur without any warning signs while you are using ibuprofen, especially in older patients. Do not take more than the dose recommended by doctor. Overdose of ibuprofen can damage your stomach and intestines. Use only the smallest possible amount required for pain relief. You should use this drug as is prescribed by your doctor or follow the description mentioned on the label of the drugs. Do not exceed dosage recommended or prescribed by your physician or pharmacist. The maximum amount of dose allowed is 800 mg per dose or 3200 mg per day. Do not cross this daily limit of ibuprofen (51). Avoid self-medication in the case of children. Follow the dosing schedule as prescribed by the doctor. Use of ibuprofen with milk decreases the gastrointestinal side effects of this drug. If you’re using a suspension, shake it well before using. 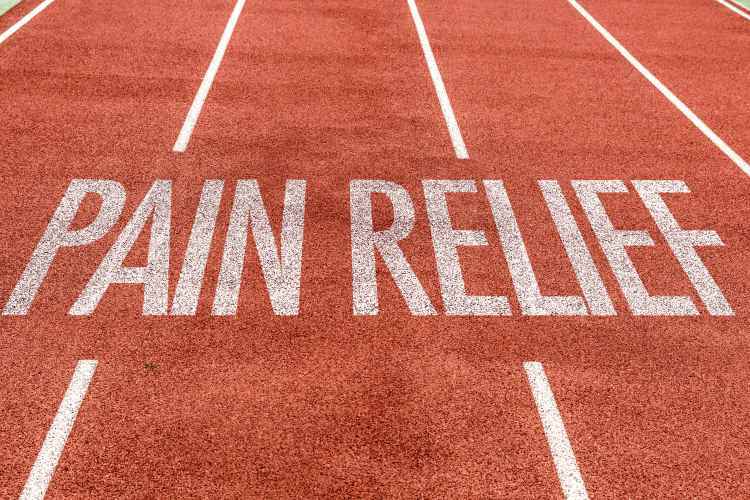 Celebrex and ibuprofen have been compared in many studies for certain types of pain. Results show merit of both drugs. For example, celebrex was more efficient in treating pain from ankle sprain, ibuprofen for toothache, and both medicines were equally effective for relieving postoperative pain and as analgesics during acute gout attacks (52, 53, 54). Long term use of NSAIDS exposes users to the risk of heart disease and stroke. The most widely used NSAIDs in clinical practice like celebrex and ibuprofen are known to cause an increased risk of heart episode at high doses or in people with diagnosed coronary heart disease. Thus, both drugs may cause damage to cardiovascular functioning (55). Use of all non steroidal anti inflammatory drugs is associated with a two to three fold increase in the risk of gastric irritation, ulcers or bleeding. But Celebrex is associated with a decreased risk of bleeding. Furthermore, in case of ibuprofen, the higher the dose, the higher the possibility of bleed (200 mg = lesser risk, 600 mg = increased risk). But the risk of gastrointestinal bleeding is not affected by the dosage of Celebrex (56). Serum creatinine and creatinine clearance, parameters of renal function, have been measured to be considerably increased in patients treated with ibuprofen as compared to celebrex. Therefore celebrex is relatively safer for kidneys (56). Ibuprofen does not cause the same extent of liver damage as celebrex does (56). Ibuprofen is much less expensive than celebrex and easily available in market. Ibuprofen 200 mg tablets are readily available over the counter to use for pain treatment while celebrex is a prescription drug. Some studies were made to compare the effect of Celebrex and its natural alternatives (57). While the results are quite promising (see below) more research is necessary to confirm the benefits. Therefore, never forget that treatment of any disorder is the responsibility of your doctor. Do not attempt to self-treat the pain without prior consent of your physician, whom you should always visit if you have any health issues. You should always tell your doctor, which drugs (including herbal extracts and supplements) you are taking to check for possible interactions and avoid serious problems. Turmeric is a member of the ginger root family. It is a perennial plant that is grown throughout India, China and tropical Asia. Turmeric grows up to a height of 0.9 to 1.5 m and has large, elongated oblong leaves and light yellow flowers. Its rhizome is thick, and is yellowish on the outside and reddish brown or deep orange on inside. The lateral rhizomes have more yellow coloring than primary bulb. The dried secondary lateral rhizomes and primary bulbs are cut, collected and boiled for use in medicinal preparations. The principle active ingredient is curcumin. The medicinal extract of turmeric is a yellow-colored powder crushed from the root of the turmeric plant. The turmeric plant is cultivated in Indonesia, India and China and belongs to the ginger family. It is a common ingredient in curries. It is a pain reliever, reduces inflammation and stiffness caused by rheumatoid arthritis (RA) and osteoarthritis (OA) (58, 59). For many centuries it was used in Chinese and Indian Ayurvedic medicine to treat arthritis. It exerts its anti inflammatory action by blocking enzymes and cytokines, including cyclooxygenase-2 (COX-2), the target molecule of Celebrex. Numerous recent studies show that turmeric modifies immune system responses. A 2008 study showed that turmeric is effective in preventing joint inflammation (60, 61). Given in form of capsules, its extract (as it is more likely to be free of contaminants) or spice. For osteo arthritis: Capsule, usually 400 mg, three time daily; or 0.5 gram to one gram of powdered root three times per day. For rheumatoid arthritis: 500 mg given every day. Curcumin is only about two to six percent of turmeric, so be sure to check the standardized amount of curcumin," recommends Dr.Horowitz, MD, medical director of the University of Arizona Center for Integrative Medicine in Texas (61). High doses of turmeric behave as a blood thinner and can cause gastrointestinal distress. Avoid use of turmeric/curcumin if you take medicines such as warfarin (Coumadin) which is a blood thinner (62). Turmeric is safe for oral use. It is safe to apply topically uptil eight months. Turmeric is also safe to use as an enema or mouthwash but consult your doctor first. In pregnant and nursing mothers, turmeric is only safe to use in food. Do not use it as a medicine as it might trigger a menstrual period or stimulate the uterus, putting the fetus at risk. Therefore, do not take medicinal amounts of turmeric during your pregnancy. The safety of using turmeric in mothers who breast feed has not been established yet; therefore avoid its medicinal use if you are a nursing mother (61). Turmeric can aggravate gall bladder problems. Do not use turmeric for clinical purposes if you have a gall bladder stones or bile duct obstruction (63). Medicinal use of turmeric may cause slower blood clotting and exposing you to increased risk of bleeding and bruising. Curcumin, the principle substance in turmeric, might decrease blood sugar in patients with diabetes (64). While this is a positive effect in these patients turmeric should be used with care in diabetes patients as their blood sugar levels might fall dangerously low (65, 66). Patients suffering from stomach disorder called gastro esophageal reflux disease (GERD) are advised not to use turmeric. Turmeric can cause stomach pain in some people. It might worsen stomach disorders such as GERD worse. Stop use of turmeric if it makes symptoms of gastro esophageal reflux disease (GERD) worse (66). Turmeric contains curcumin as its active ingredient, which might behave like the hormone estrogen. In theory, curcumin might make hormone-sensitive conditions such as breast cancer, ovarian cancer worse. However, some studies show that turmeric alleviates the effects of estrogen in some hormone-sensitive cancer cells. Therefore, turmeric might have beneficial effects on hormone-sensitive conditions. Until more extensive studies are conducted, use turmeric with caution if you are suffering from a hormone sensitive condition (66). Turmeric can reduce testosterone levels and slow down sperm movement when taken by mouth by male patients. This might cause infertility. Turmeric should be used with caution by males trying to have a baby (66). Turmeric can interfere with the absorption of iron and reduce it. If you have iron deficiency and are anemic, use turmeric with caution (66). Turmeric can slow blood clotting. It may cause a lot of bleeding before and after any surgical procedure. Stop using it at least two weeks before any operation or surgery (66). Turmeric and celebrex both exert their anti inflammatory effects by blocking action of the enzyme cyclooxygenase-2. Both have adverse effects in common as both slow down blood clotting and cause gastrointestinal issues (67, 68). But turmeric is safe to use for liver and kidney patients. Furthermore, being a natural substance it does not contain as many harmful chemicals as celebrex. The use of turmeric in conventional Asian cooking, such as curries, is common in the kitchen, hot beverage such as tea is another way to enjoy its medicinal benefits and treat pain and inflammation. To prepare a pot of turmeric tea, just boil four cups of water and add one teaspoon of turmeric powder. Simmer for ten minutes before straining the beverage into a cup. Add honey or lemon to enhance its flavor. Adding ginger boosts its anti inflammatory effects. Another way to use turmeric is by applying it on your skin. Ground turmeric mixed with ingredients such as warm water, warm milk or sesame oil creates a mixture that, when applied to the skin, helps to relieve inflammation and swelling. In Ayurvedic medicine, turmeric paste is popular for healing and cleaning wounds and treating inflammation. If you are not into home remedies and the taste of turmeric is unappealing, dietary supplements offer another way of using turmeric for its anti inflammatory and pain relieving effects. Director of integrative medicine at Southern Westchester Hospital in New Jersey, Dr. Minerva Carlos, advises 1,000 milligrams of turmeric supplements daily for individuals suffering from joint inflammation, while the University Of Maryland Medical Center recommends 300 to 600 milligrams three times per day. Turmeric dietary supplements are available on the market as tablets or capsules. As turmeric can increase stomach acid, according to the University of Maryland Medical Center, it can impede the effectiveness of drugs that decrease acid, such as acid reflux medications (69, 70). The spice can also increase the efficacy of certain drugs, including blood thinners and diabetes medication. Taking turmeric simultaneously with blood thinners can raise the risk of bleeding. Exercise caution while taking it with other herbs that act as blood thinners, such as ginger, garlic, clove, ginseng and willow. Diabetics who take medication to help lower their blood sugar levels shouldn't use turmeric because it can cause blood sugar to fall to potentially dangerous levels. Boswellia, also called as boswellin or "Indian frankincense," grows on the Boswellia serrata tree that is present in the dry hills of India. For many centuries, traditional Indian healers have made use of its anti-inflammatory properties. Unlike traditional NSAIDS (non steroidal anti-inflammatory drugs) such as Celebrex - the popular treatment for joint inflammation - boswellia doesn't seem to cause stomach distress. Boswellia provides relief from acute or chronic pain and inflammation associated with premenstrual disorders, menstrual cramps, fibromyalgia, endometriosis, osteoarthritis, rheumatoid arthritis and musculoskeletal pain (71). Boswellia produces boswellic acids in its resin and these acids have been acknowledged in research as the principle active anti-inflammatory ingredients in this herb. In medical studies, boswellic acids have been known to reduce pain and inflammation in many ways (72). Boswellic acids prevent inflammatory white cells from passing into damaged tissue. They boost blood flow to the joints. And they also obstruct chemical reactions that trigger the onset of inflammation chronic intestinal conditions such as Crohn's disease, endometriosis and ulcerative colitis (73). Boswellia can be used to relieve inflammation and pain in patients of osteoarthritis and rheumatoid arthritis. It may ease morning stiffness and enhance joint mobility. In a study of 150 patients with rheumatic disorders such as rheumatoid arthritis, a painful joint disease, 120 participants experienced decreased stiffness, pain and inflammation three to four weeks after starting on a boswellia therapy (74). Boswellia's anti-inflammatory properties can help to reduce aching and stiffness, especially when associated with low back pain (75). Boswellia has been known to lower the inflammation caused by ulcerative colitis and Crohn's disease, both painful gastrointestinal disorders. It has been observed to accomplish this without further aggravating irritation of gastrointestinal tract seen with several conventional painkillers (76). Boswellia is an excellent natural alternative to Celebrex because it does not cause any of the undesirable side effects caused by Celebrex. It is safe for patients with heart and liver problems. It does not cause any stomach distress so using it as a pain reliever and an anti inflammatory "drug" is a win-win situation. Extracts of boswellia are available as oral supplements in the form of capsules. Here is an overview of precautions and risks associated with Boswellia (77). No drug or nutrient interactions have been observed with Boswellia. All inflammatory joint conditions should be carefully observed by a doctor or health care professional. Consult your health care professional before staring use of Boswellia if you are pregnant or your immune system is malfunctioning in any way. Do not take more than the daily prescribed dosage unless your doctor tells you to do so. Although boswellia extracts are usually used orally by arthritis patients, topical creams including boswellia extracts are also available. Some patients, however, have allergic reaction from topical cream in form of contact dermatitis. They should stick to the oral route. Since boswellia supplements contain varying amounts of boswellic acids, it is difficult to ascertain a standard dose for this herbal supplement. Most experts agree that 150 mg boswellic acids should be taken three times per day. This dosage amounts to 400 mg of boswellia extract (having 37.5% of boswellic acids) taken three times per day. The effect of boswellia extract for arthritis therapy is a slow and cumulative process and not an instantaneous one. Therefore, the usual course of treatment should take at least nine to ten weeks before you observe the first signs of improvement. This herbal extract is safe even in long term use. Unlike Celebrex, Boswellia does not irritate the lining of the gastrointestinal tract and will not cause any stomach ulcers to develop. It is even used in treatment of ulcerative colitis. The final alternative to Celebrex described in this post is Ginger. It is used not only as a tea but also as a powder or extract. It is the dried or fresh root of ginger plant. Ginger has been used in Asian medicine for many centuries. It has been shown to have anti-inflammatory action similar to COX-2 inhibitors such as celecoxib or celebrex (78). Ginger may act in a similar fashion as conventional analgesic medicines like Celebrex, aspirin and Zyflo. The best thing about ginger is that it can inhibit COX-1, COX-2, and 5-LOX simultaneously with low risk of adverse effects, whereas commercial painkillers such as celebrex will usually only target just a single pathway, with increased risk of side effects. Medical researchers believe that ginger appears to have this anti inflammatory effect by “turning on and off” appropriate genes participating in the COX-1, COX-2, and 5-LOX pathways of inflammation (79). A 2011 in vitro study showed thata specialized ginger extract called Eurovita Extract 77 decreased inflammatory reactions in rheumatoid arthritis synovial cells as effectively as NSAIDs (80). Ginger also has been studied for osteoarthritis. In a trial including more than 200 patients, Eurovita Extract 77 improved osteoarthritis pain experienced after standing and walking. In fact, a University of Florida study showed that ginger extract could one day very well substitute nonsteroidal anti-inflammatory drugs (NSAIDs) such as celebrex. The study compared the action of a highly concentrated ginger extract to placebo in 250 patients with osteoarthritis (OA) of the knee. The ginger decreased stiffness and pain by over 40% in patients (80). 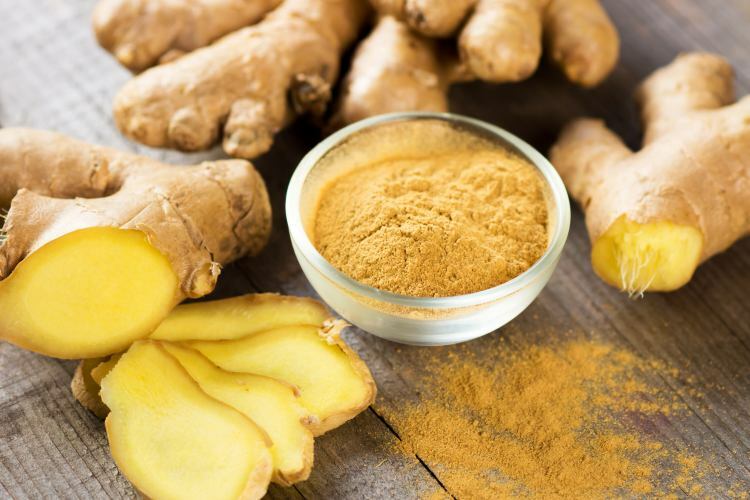 “Studies show that ginger influences certain inflammatory processes at a cellular level,” says the study’s lead author, Reese Altman, MD, now at the University of California, Los Angeles. What makes ginger so efficient? It has anti-inflammatory, anti-ulcer and antioxidant traits, as well as a analgesic properties,” says Roberta Lee, MD, vice chair of the Department of Integrative Medicine at Beth Israel Medical Center in New York City. Ginger is a wonderful alternative to celebrex if you are not keen on using any medication and require a home remedy to treat pain and inflammation. Ginger does not show any of the adverse effects observed with celebrex use. For each cup of water use one teaspoon of freshly grated ginger roots and turmeric powder. If you add ground turmeric and ginger, use a third of teaspoon for each cup of water. Add raw honey for making the flavor more appealing and a slice of lemon. In a small saucepan, bring four cups of water to boil. Add freshly ground turmeric and ginger, lower flame, and simmer for about 10 minutes. If you are using grated turmeric and ginger, boil for about ten minutes. Strain the tea and add lemon or honey fro flavor. Add pepper or coconut oil to enhance absorption of turmeric. There are no predetermined dosage instructions for ginger tea. Just prepare a pot of it on days you feel in pain. Even though ginger is considered safe and without serious side effects when used in appropriate amounts by adults, it may interact with certain prescription drugs. For example ginger is not safe to use as a medicine if you are using blood thinning drugs or drugs to lower blood sugar levels. Therefore consult with your doctor before deciding to use ginger as a natural remedy for pain and inflammation. It might not be safe to use during pregnancy or breast feeding (81). 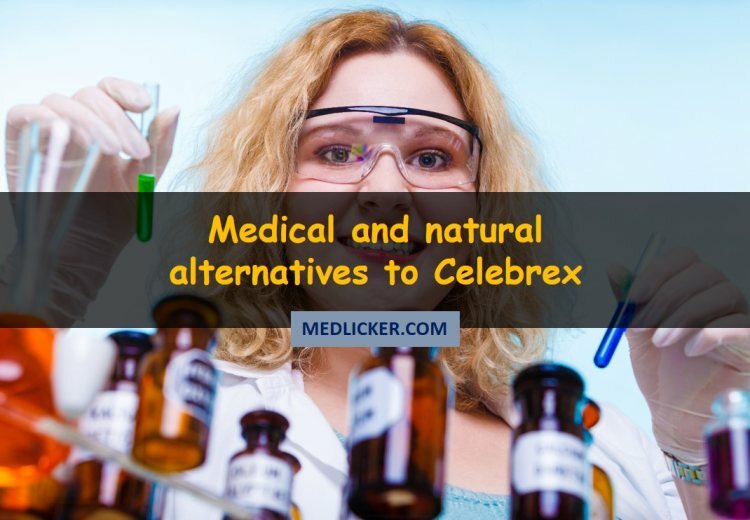 There are lots of alternatives to Celebrex both among drugs as well as among natural remedies. Each alternative has its own benefits, side effects and interactions. In the end, it all depends on your medical history and which medicines you were prescribed by your doctor. Natural remedies provide slower relief over a prolonged period of time while drugs provide instant relief from pain. On the other hand, natural remedies have less serious side effects compared to pain killing drugs, like Celebrex. Use Tylenol instead of celebrex if you have a history of heart disease. It is less expensive and easily available. Aspirin is also a safe alternative to Celebrex if you suffer from cardiac disease. Tramadol does not cause cardiac disease risks or liver damage but it is not a wise option for people suffering from stomach disorders. Ibuprofen is a cheaper and more easily accessible alternative to Celebrex. Natural remedies like turmeric, boswellia and ginger do not cause serious side effects like Celebrex.